A female cardinal perches on a low bush over a flooded ditch along Parkway Drive in Melbourne. It is difficult to make a photo excursion every day, as I pledged to do earlier this week. 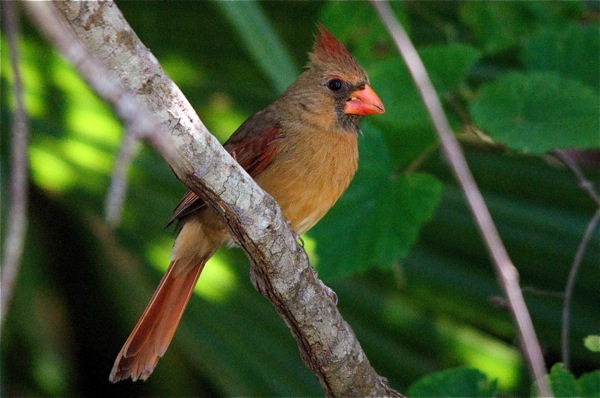 I'm attempting to get a better shot of a cardinal - a male, to be exact, as they are the prettier of the sexes when it comes to most birds. Nah. 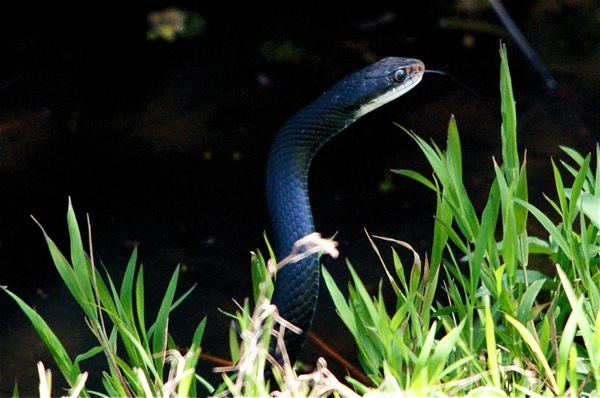 This snake, a black racer, doesn't look hungry enough to eat a bird. 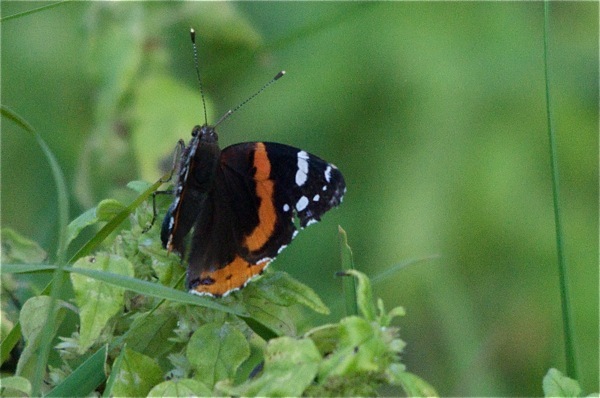 I also saw a red admiral butterfly. One day, while mowing the bacl yard of the old house a snake identical to the one you photographed lunged up at me...needless to say. I finished mowing the lawn at a later time. I think it's a black racer. Wow...my grammer/ typing skills were horrible in that last comment. I remember that, Mark. And it does look like a black racer. At least they aren't venomous, but it would probably still sting if one nipped you.